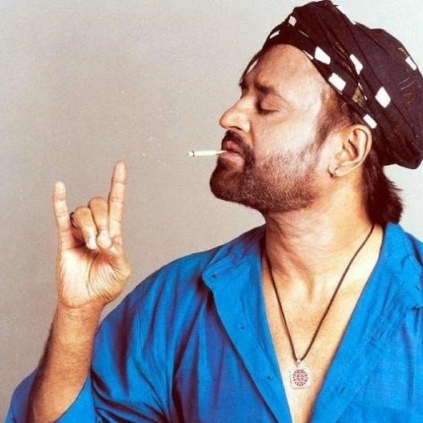 WHAT RAJINI HAD TO SAY TO HIS FOLLOWERS FOR THE PAST 2 YEARS! “Salutation to the Lord. Vaṇakkam anaivarukkum !! A big thank you to all my fans. Excited on this digital journey” - This was Superstar’s first tweet when he entered this world of chirps in 2014. May 5th, 2016 marks two years of Rajini on Twitter and we learn that he has tweeted 26 times in this span. Here is a short split up of things that the Kabali man said in Twitter. 3 tweets to thank people who welcomed him to Twitter and sharing the happiness to enter the world of tweeting. 1 tweet each to wish Narendra Modi and Jayalalitha on their victory in 2014 in Indian general elections. 2 tweets about his daughter, Soundarya Rajinikanth's debut film Kochadaiyaan. 4 tweets to thank each and everybody who wished for his birthday in 2014. 1 tweet to express happiness about the TN government’s plans to build a memorial for actor Sivaji Ganesan. 1 tweet to launch the first look of Kabali. 1 tweet to wish PM Narendra Modi on his birthday. 1 tweet about the demise of Pujya Sri Swami Dayananda Guruji. 1 tweet about the volunteers who helped during Chennai floods and another to thank people who wished for his birthday in 2015. 1 tweet to share the happiness of being conferred the Padma Vibhushan and 3 tweets thanking few people for congratulating him for the same. 1 tweet about the Vetri Maaran directorial, National award winning, Visaaranai. Manjima Mohan with Vijay Sethupathi? Revisiting Kaaka Muttai in Mumbai slums! People looking for online information on 2 years of Rajini in Twitter, Rajini will find this news story useful.